Search Results for "florence night"
Uffizi Gallery Florence italy night timelapse. It is prominent art museum located adjacent to Piazza della Signoria in central Florence, region of Tuscany, Italy. Motion timelapse at night. Ponte Vecchio Florence zoom Timelapse at night and Arno river in Florence Italy City. Reflection on water. 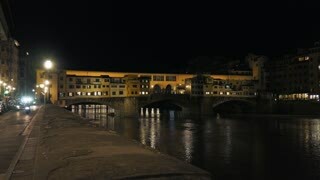 Ponte Vecchio Florence zoom Timelapse at night and Arno river in Florence Italy City. Reflection on water. Footage in 4K. Scenic Skyline View of Arno River Florence City timelapse, Ponte Vecchio from Piazzale Michelangelo at night in Florence, Italy. Nightly shot of amazing Florence, Firenze, Italy. Night. Arnolfo tower Florence of Palazzo Vecchio timelapse from the Piazza della Signoria at night in Florence City Italy. Footage in 4K. Florence, Italy. Night view of Santa Croce Church from Piazzale Michelangelo. Dante Alighieri Statue Near Santa Croce Church In Florence At Night. Florence at night from Michaelangelo's Piazza, Tuscany, Italy.